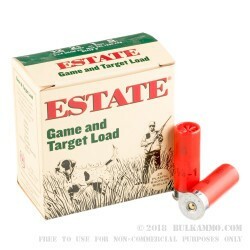 Estate Cartridge produces a variety of shotshells that offer affordability without compromising quality. 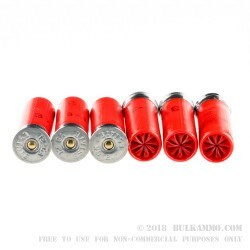 They manufacture these 2.75” 12 Gauge shells with uniform and reliable primers, clean burning powder, and wads designed to create a superior gas seal in order to deliver shot uniformly and with the power to take down game from range. Their durable plastic hulls sport metal heads that further strengthen their structures throughout. 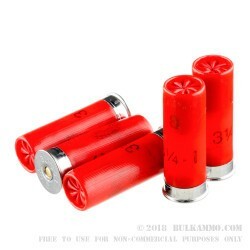 This shell’s single ounce of #8 shot achieves a muzzle velocity of 1,290 fps, making it appropriate for bird hunting, target practice, and competition shooting alike. 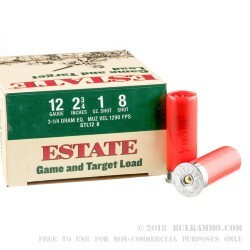 Because of its low price, this shell by Estate Cartridge is a worthwhile investment while shooting clays for extended periods. As its shot is made of lead, it is advisable not to fire it in environments that will become the worse for the resulting contamination. We shoot a lot of clay pigeon shoots and these are perfect for that. My daughter can run thru a box of shells in no time so price is important for me.